KAILALI, Feb 11: In September, Ghodaghodi Municipality erected three cowsheds for the management of stray cattle. 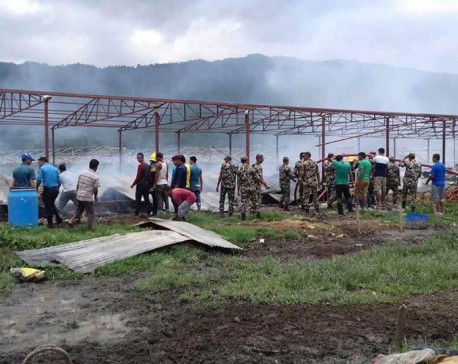 In the last six months, only 70 cows had died but a non-governmental organization (NGO) was recently found spreading rumors about the death of more than 2,200 cows in the municipality. However, it has been found that the rumor of large number of cattle dying was just a gimmick of the organization to pocket budget from its donors. There were some groups in the local unit which had shown interest for the management of the stray cattle. They were disappointed when the municipality refused to provide them the budget but instead took the responsibility on its shoulders. Tek Bahadur Budha, chief of Ghodaghodi-4, says the disappointed groups played a major role in spreading the rumor by collaborating with the NGOs. "It's just some NGOs making efforts to bring home budget by creating a fake issue," said Budha. The officials of animal welfare organization named Sneha's Care had informed some media persons regarding the death of large number of cows. They even sent emails to various news organizations urging them to cover news about the death of 2200 cows in Ghodaghodi. "We reached Dhangadhi only after a newspaper covered news on the issue," said Kapil Kafle, acting director of Sneha's Care, adding, "We had no vested interest as all we wanted was the proper care for the cows." According to him, the number of cows has been decreasing in the sheds. Bhoj Bahadur Chaudhary, shepherd entrusted with the responsibility of taking care of the cows, said that a large number of cows manage to “escape our and run away to their villages”. That is the reason why the number is decreasing, said Chaudhary admitting that not more than 70 cows have died in all three sheds. Some died of diseases while others died of cold, according to livestock experts in the district. Currently, there are around 2,000 cows in the three sheds in Sisneghari, Churepani and Kalibhabar respectively of Ghodaghodi Municipality. The municipality has assigned 19 shepherds to look after the cows by providing them a salary of Rs 12, 000 per person per month. 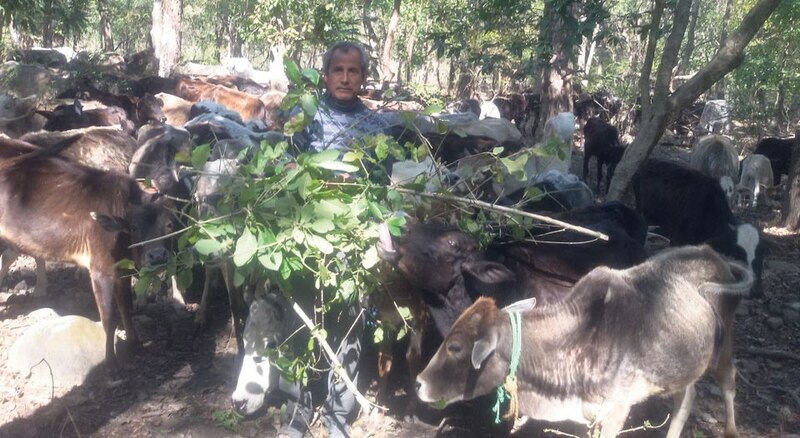 Shepherds feeding fodder to cows in Ghodaghodi Municipality.